Here are instructions on how to your sort your albums. Be aware, that iPhoto does not automatically maintain the sort order. If you were to add an album it will not automatically be sorted alphabetically. However, you can re-sort the albums at any time. You’ll then see all of your Albums listed on the left-hand side. Depending upon which version of Photos you have you’ll see one of two choices. If you have a version before version1.5 then select Sort by Name. If you have Photos version 1.5 or higher then select Sort and then choose one of the sort options, which include Keep Sorted By Title, Keep Sorted by Oldest First and Keep Sorted by Newest First. These sort options are a bit smarter than iPhotos options since they will keep your albums automatically sorted even if you add or rename an album. 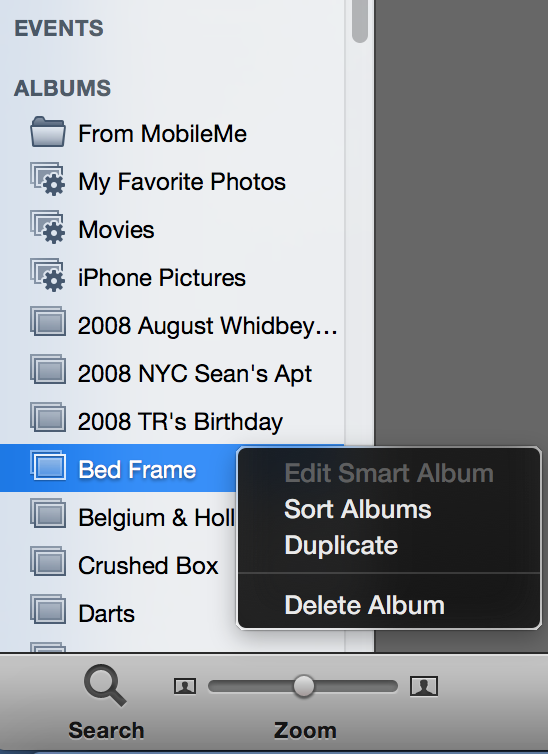 Read more about albums, Apple, iphoto, mac, photo, Photos, sort.